Adds a lot of pin specific settings to the game. You can select which kind of pins you want to have displayed on your compass, on the worldmap and in the world (floating pins). - You could for example select to only display tracked quest pins (and hide secondary quest pins) to focus on one specific quest. - Or you could completely hide all quest pins except the quest offer pins, for a challenging and immersive gameplay. You don't have to fear missing a quest but you could finally actually search, when the quest asks you to "search for x". - You could also hide quest pins except if the target is behind a door. This way you would know in which dungeon you have to go but you wouldn't know the location of your target inside the dungeon. - I accidentally uploaded the wrong version before. The dark brotherhood pins should now be fixed. For a while now the secondary pins on the compass still show, even if the settings on the addon for them are all set to OFF, not even the in-game setting for changing the display of active quests will get rid of them. I am having the same problem. I downloaded the mod to remove these quest icons from the compass and its not working. It will remove all the quests from the map! Yay! But it seems the mod will only effect the active mod. I will also add that I see no change when i switch the vanilla quest compass settings from off, on, and focused, so this could be an in game bug. Shinni, thank you so much for this wonderful mod! I turned off almost everything, and the only thing I lack is the automatic hiding of quest pins on the map in the interiors - so that the map would indicate that the target is behind the door, but the quest pin disappeared in the interior. Last edited by Laicus : 02/18/19 at 12:10 PM. There are still pins that do not show even if every PinKiller option is "On". I know that's ^ what I want, being I'm using this mod, but there are times I want to see just the END pin for a quest so I'll enable ("On") all of them for World Pins and the pin will still not show, so to troubleshoot, I'll enable every option in the mod ("On") and it will still not show the World Pin, so lastly, I'll completely disable the mod and then the "ending" world pin will show. A quest this can be tested with is Warning Davon's Watch; Task: "Talk with Holgunn." Last edited by unLeashed3k : 11/26/18 at 05:11 PM. These appear to be for non-active quest objectives on the compass. I added them to the mix and they now appear and don't as expected. Hm... not just that. ZOS has coupled floating and compass pins. If you disable compass pins the same floating pin will also disappear. Hey Shinni. Thanks for the Murkmire update. With all pin settings off non-active quest pins (secondary?) appear in the compass at all times. This seems to be a Murkmire change as older versions of PK act the same. Just wanted to leave some thanks for this mod. Adds so much to the game by taking some away. I was hoping that this add-on would allow ONLY show Selected Quest. But it looks like it hides them all or shows them all. Any chance you could add this feature to Hide all other Quests in the Log and only show currently selected quest? What option would I toggle to hide all crafting dailies pins, but still have other quest pins show up? Or is that not possible? The API function which assigns textures to floating pins seems to have hardware dependent bugs. I released a new addon version which should prevent crashes for most setting combinations. However the combination where floating pins are disabled, but shown if the target is behind a door, might still cause crashes on certain hardware. Greetings, Shinni! 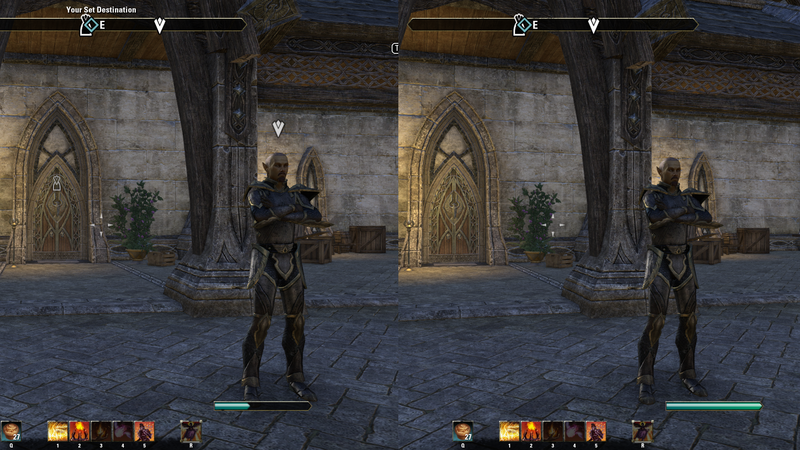 Just want to start off by saying I love this mod, and I think it's essential for immersion and enjoying ESO. That said, recently, whenever I load into a new world-space, the game crashes. If I uninstall this mod, it fixes the problem. If I uninstall my other three mods (Lore Books, Lost Treasure, and SkyShards) and only leave this one, it still crashes. I have no idea why this is the case - it used to work fine. I have it set to hide everything except new quest offers on compass and to show quests on the map. Everything else is turned off. For the mean time, I suppose I'm going to have to just deal with the displacing markers floating above everything. Is it possible to make dynamic pins for points of interest? Visiblity on map and compass only after exploration trigger activating? Is it possible for this addon to automatically disable itself in Cyrodiil? Or have a seperate option list for it? I love this for PvE, but the pins are useful for PvP and turning it on and off again every time is a hassle. Awsome job, really nice addon! I would like to suggest you to also add an Screenshot saying that you can only hide Wrists quests, for example. The idea of hidding everything for immerse gameplay is fantastic, but people could think this addon only does that.